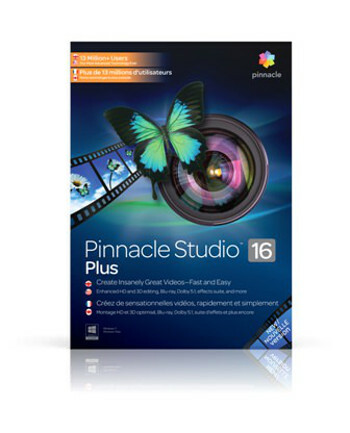 Corel Pinnacle studio 16Corel has announced the release of the new Pinnacle Studio software family, which includes: Pinnacle Studio™ 16, Pinnacle Studio 16 Plus, Pinnacle Studio 16 Ultimate and Pinnacle Studio for iPad. The new software suite was inspired by the ease-of-use of previous versions, and Corel state that the new line offers a solution for every level of video editor. Pinnacle Studio offers optimisation for the latest CUDA GPUs, exclusive NVIDIA 3D Vision support, free cloud file sharing and storage with Box, and a fresh user interface. Pinnacle’s partnership with NVIDIA allows exclusive NVIDIA 3D Vision support on Quadro graphics cards and on NVIDIA’s GeForce consumer line as well. Users can now edit and preview their 3D work in both full-screen and window modes – something Corel maintain no other editing application can do. In addition, Pinnacle Studio 16 takes full advantage of the latest NVIDIA CUDA enabled graphics cards to deliver fast editing and rendering. “The Box and Pinnacle Studio 16 integration makes it incredibly simple for digital artists to access, edit and share their video content wherever the studio may take them,” said Chris Yeh, VP of Platform at Box. “Box’s open platform and the Pinnacle Studio software family will unlock new levels of innovation for creative’s across the media and entertainment markets." Create videos on the go with Pinnacle Studio for iPad. Users can start editing project on their iPad, then import into any Pinnacle Studio product on their PC for additional polishing. 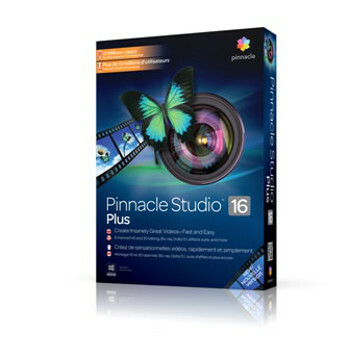 Pinnacle Studio 16, Pinnacle Studio 16 Plus and Pinnacle Studio 16 Ultimate are available in 17 languages, including English, and can be purchased immediately as an electronic download (ESD) from www.pinnaclesys.com or from Corel's global resellers. Do you want to learn more about Fiery? Review of Xara Designer ProX9.